With the Metal X collection, Arte has created another winning design. 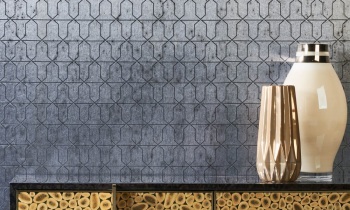 This special range of wall decoration has been based on the ‘perfect imperfection’ of an oxidising metal surface. Arte has now gone a step further and has expanded the collection with surprising patterns. The Metal X Signum collection is made up of seven patterns: Arcum, Classo, Domus, Forum, Gloria, Natura and Quadra. 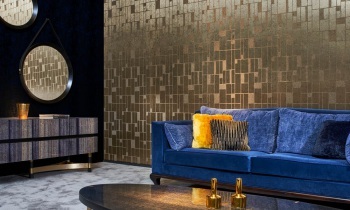 These seven designs have been applied to the existing Stellar plain design in the Metal X range, a metallic wallcovering which combines an industrial and luxurious look. The timeless patterns and unique background are really brought to the fore in this collection thanks to the nuanced shades of colour. When natural meets industrialMetal X Signum continuously plays upon the contrast between living forms and the industrial inspired background. Two patterns are particularly striking. 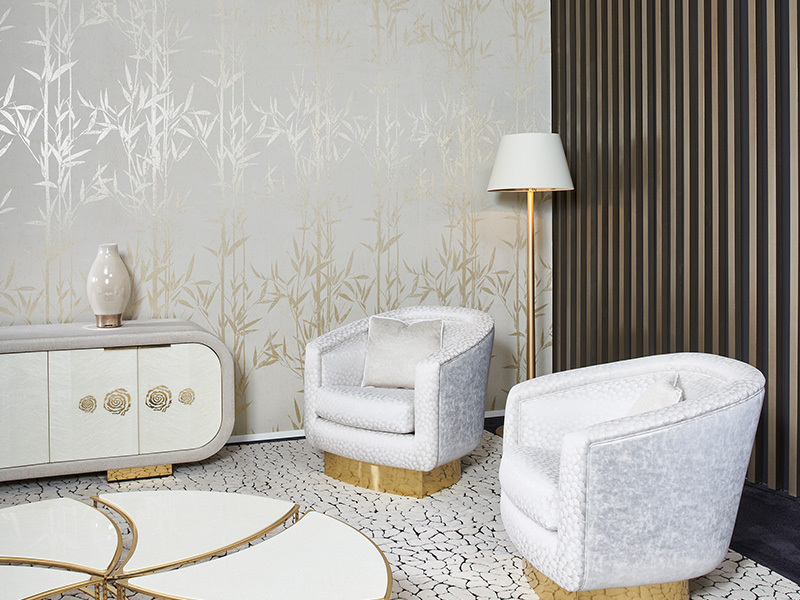 Natura whisks you away to an oriental bamboo forest, whilst Gloria has a more traditional leaf motif. In combination with the metallic plain, both designs from nature create a superb tension. 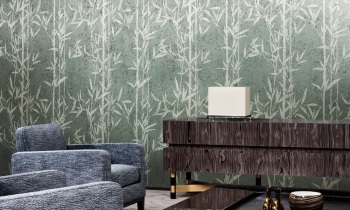 In this wallcovering nature meets industry. Soothing mandalasForum brings a touch of spirituality to the collection. The mandala pattern brings to mind Buddhist temples, flags fluttering in the breeze and soothing music. 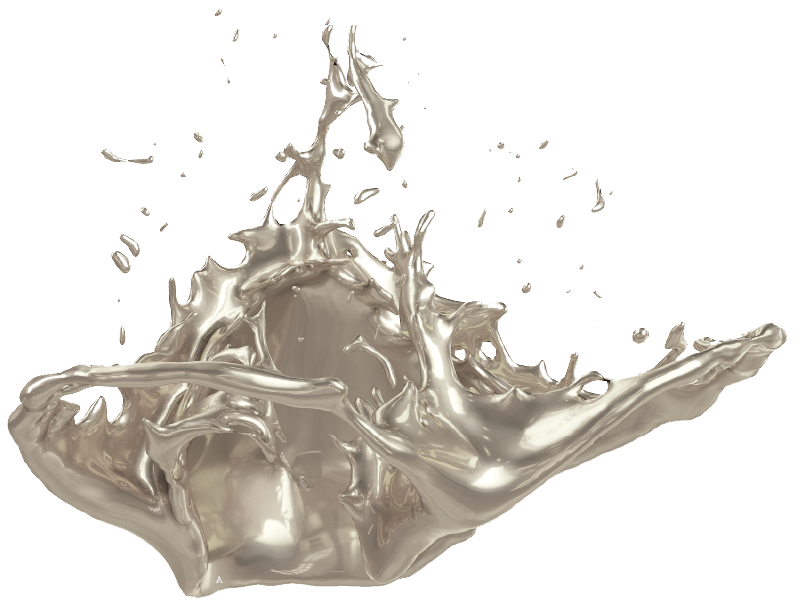 The gleaming hints of silver and gold provide a perfect finishing touch. Thanks to the matching colours in the foreground and background, the ensemble effect does not overwhelm you. Geometric beautyThe geometric designs are also well represented in the Metal X Signum range. 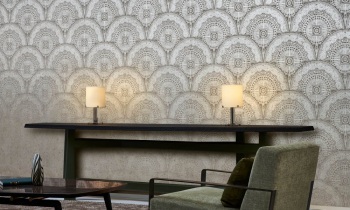 The recurrent patterns of Arcum and Domus are repeated in several colours and have been printed with a satin coating. This finish imbues the finished paper with a superb sheen and creates the subtle illusion of relief. Angles and sidesThe Classo and Quadra patterns complete the range. Both patterns include right angles, but they have a surprising twist. The designs in Classo make you think of eastern fans gently cooling you off from the wall. The Quadra design consists of a variation of light and dark rectangles, which will continue to intrigue you with their irregularity. Special splash of colourA constant theme of the entire collection is the extra attention which goes into all aspects of colour. The patterns are always layered tones. This means the overall effect of both the foreground and the background are displayed to best advantage. The satin coating finish in some colourways for Arcum and Domus adds a touch of brilliance and relief to these wall decoration. 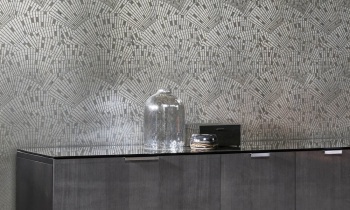 Finally, some colours of the patterns Quadra, Gloria and Domus include glass beads. The reflection of light imbues the wall decoration with an extra luxurious feel.